Brisk walks and cosy fires. Autumn’s here and Winter’s near. Evening Dinner at Delphi Lodge is highly recommended. 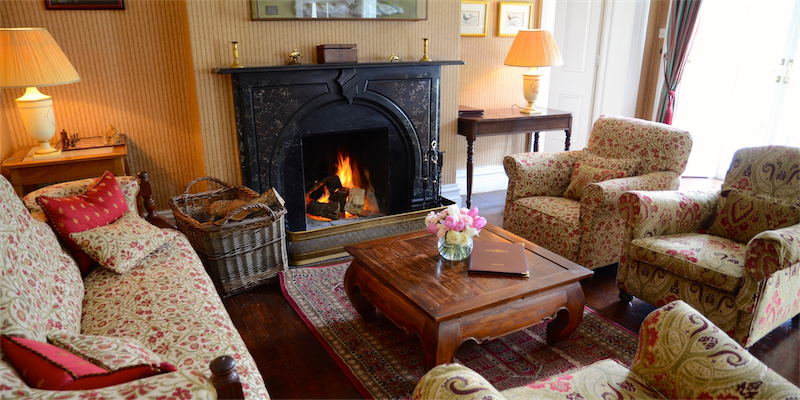 It’s a very special experience, with guests gathering in our Drawing Room from 7pm where pre-dinner drinks and canapés are served in front of a cosy log fire. Then it’s into the Dining Room at 8pm for a wonderful three course meal, specially designed and prepared using the best quality, fresh and locally sourced ingredients by our award-winning Head Chef. Everyone is seated together around our large antique dining table to exchange anecdotes about the day, with coffee and chocolates later in the Drawing Room; log fires and good company – a perfect evening. Worth mentioning is our wine list which is second to none. For further information please contact us by telephoning the office on +353 (0)95 42222.